To all Muslims observing this blessed month. The Prophet Muhammad said that Ramadan is the month in which the beginning brings Allah’s mercy, the middle brings His forgiveness and the end brings emancipation from hell. Try to make the most of this blessed month but don’t unreasonably overdo it as it is also necessary to enjoy the ambiance of Ramadan and usually overdoing anything can take away its joys. May Allah accept your prayers, sacrifices, fasting and charities. Ma’salaam. Ma’shallah. We have Ray back. 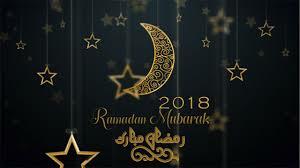 Ramadan Mubarak!! Allah Huh Akbar. May Allah bless everyone. Ramadan is one of the great things about Islam. Have a good Ramadan to those who partake. On Saturday night I saw live coverage of Saudi Royal men performing the rituals around the Kaaba. Outsiders were not allowed. The circle immediately around the Kaaba was surrounded by hundreds of soldiers holding hands to form a barricade to protect the Royalty inside the circle. The Royalty were going around the Kaaba many times, then climbed up the steps and went in the Kaaba for more rituals, then they came out and performed more rituals outside, then the soldiers escorted them out of the premises. I never got such a close look of the Kaaba and the rituals. Saudi Arabia has really changed of late. There was a time when taking pictures were not allowed. All moves in the right direction. The activities around the Kaaba are so inspirational. It is where Muslims’ hearts melt. Alhamdulillah. Ramadan Mubarak to all observing. May the Peace, Blessings and Rewards of this month be with us all and may the Almighty accept all of our efforts and sacrifices. It is day 8 for me already. Today is Day 20 .